If you’re interested in an online slot machine that gives you a high chance of winning and practically ensures no long losing streaks, you’re sure to enjoy Empire Fortune from Yggdrasil. Empire Fortune is a progressive slot machine that doesn’t have just one but three progressive jackpots. The game lets you win free spins too—up to 30 at a time—and a built-in multiplier helps ensure a big prize. It also features a bonus round, a jackpot wheel and sizable on-the-reels coin opportunities. 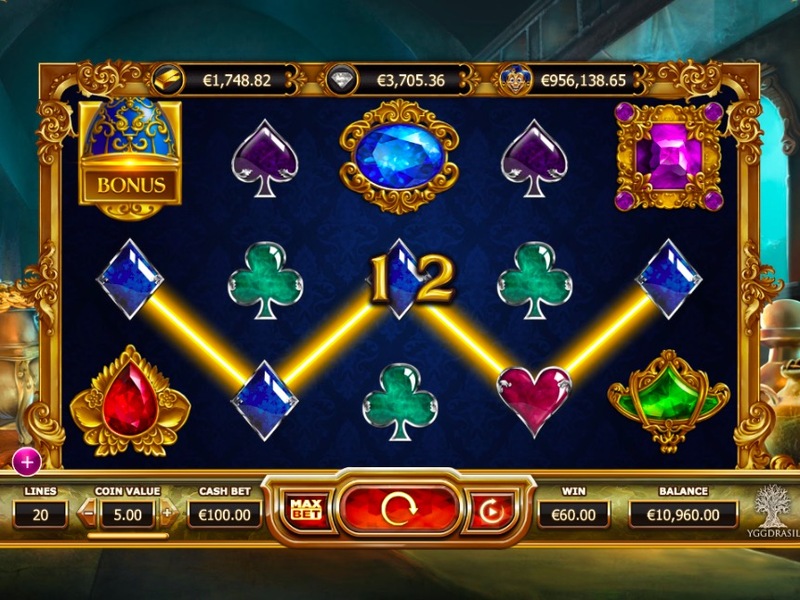 Visually, this Yggdrasil slot game is a spectacle that catches your attention. Symbols flash, everything glitters, and a stunning castle theme features jewelry, gold coins and gilded chalices. Empire Fortune does a great job of keeping the player informed as well. Everything you need to know is on-screen in a well-organized manner. 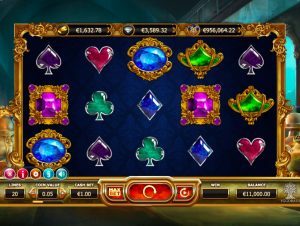 This includes the three progressive jackpot amounts positioned at the top of the screen and which update in real-time as those pots increase. 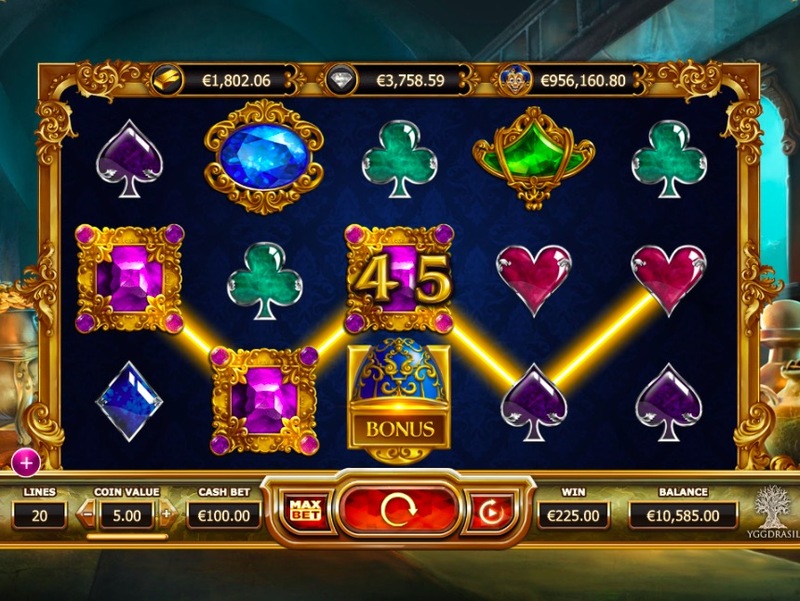 Empire Fortune is a five-reel video slot machine with 20 pay lines. All 20 of those lines are active each spin, and that number isn’t adjustable. 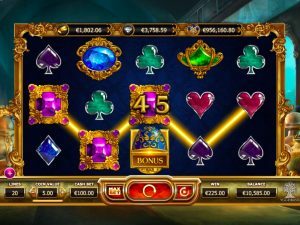 Each spin, you have access to scatter symbols, which award free spins and multipliers; bonus symbols, which provide access to a jackpot wheel; and much more. Free Spins: The joker is the scatter symbol. Three or more on the board awards free spins as well as a multiplier to bolster your winnings. 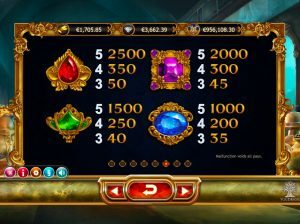 With three symbols, you get 10 free spins with a 2x multiplier. 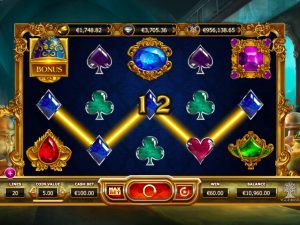 With four symbols, you get 20 free spins with a 4x multiplier, and at five symbols, you get the maximum prize from this feature at 30 free spins with a 10x multiplier. 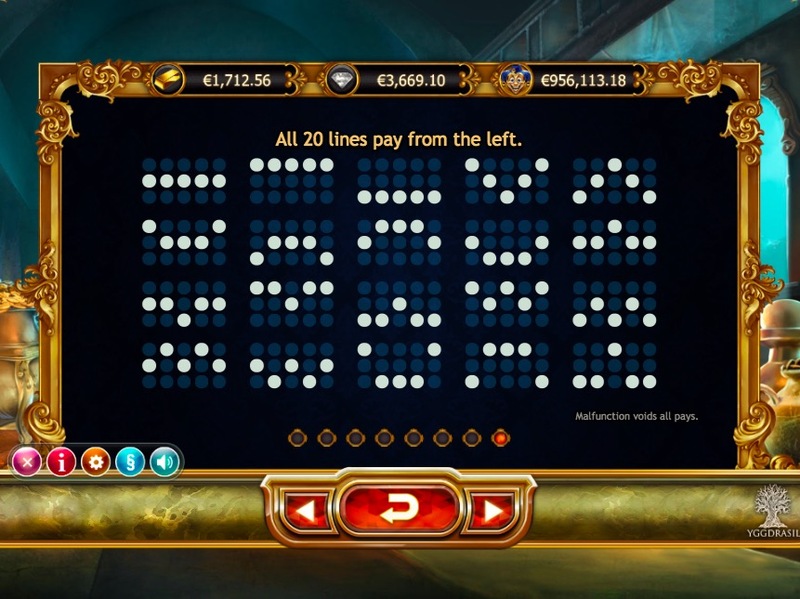 Bonus Symbol and Jackpot Wheel: When playing Empire Fortune for real money, the bonus symbol gives the player a chance to win the progressive jackpots as well as other prizes. You need three or more bonus symbols on the reels to have a shot at the wheel. The wheel is three-tiered, and your bonus symbol count determines where you spin: with three, four or five, you spin the bottom, middle or top level, respectively. 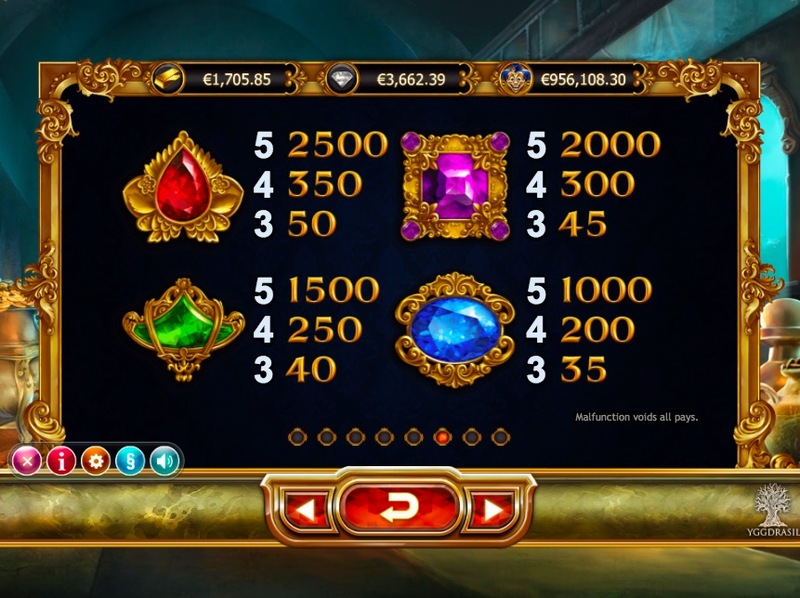 The bottom tier gives access to the gold jackpot and other prizes. 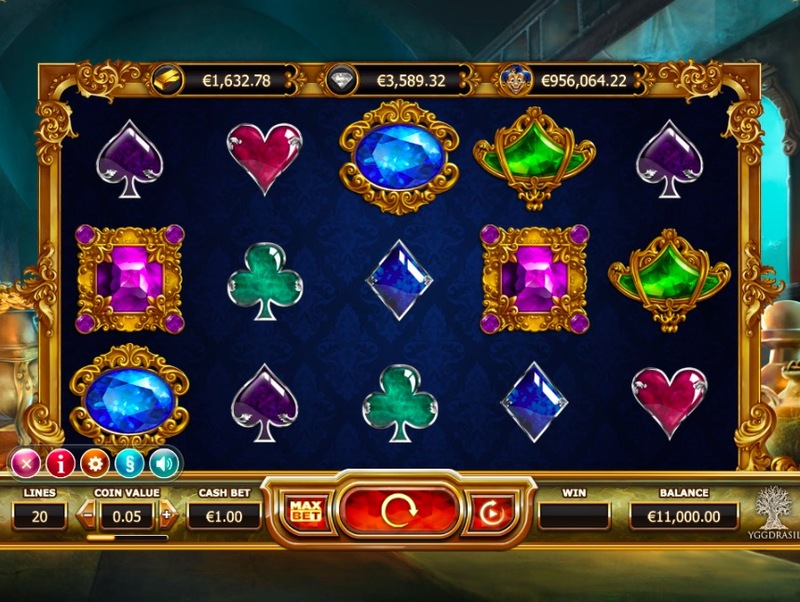 The middle tier gives access to the diamond jackpot and other prizes. The top tier gives access to the joker jackpot and other prizes. There are also arrows, and if you land on one, you move up to the next tier and spin again. The prizes you can win other than the jackpots include coins and free spins. 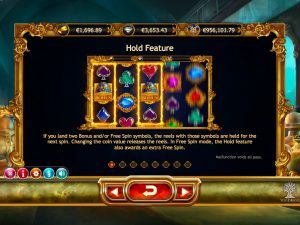 Hold: If you get two bonuses symbols and/or two scatter symbols, a Hold feature kicks in and locks the reels with those symbols into place for the next spin. 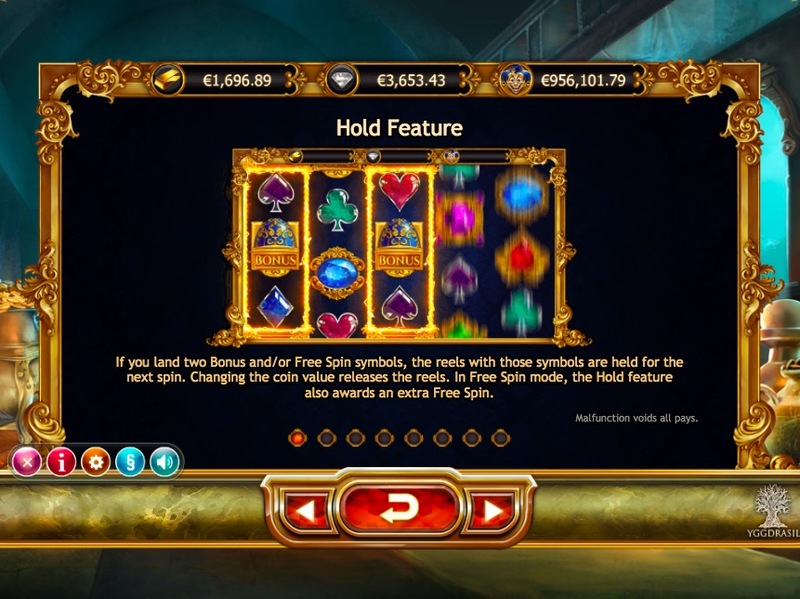 On your next spin, only the unfrozen reels spin, and you have a shot at that third or more bonus or scatter symbol. There’s a strategic element here since you can opt not to hold the reels. Simply changing the coin value will release the reels and let you spin normally. Perhaps if four reels are frozen with two bonuses and two scatters, you might prefer to reset the board. Note that if this takes place during a free spin, it will initiate an extra spin at no cost. With big progressive jackpots available, Empire Fortune is at its best when played for real money. There are many online casinos where you can do this, including Sunmaker Casino. You can, of course, play in free mode either to test the game before wagering or just for fun. Note that access to the progressive jackpots is offline during free mode, but you can still spin the jackpot wheel and win other prizes. 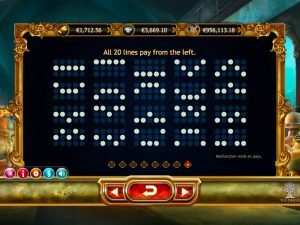 There’s a lot to like about Empire Fortune, but the triple progressive jackpots are particularly alluring. Progressive slot games are often high-variance, but this one provides many chances for regular profits. The symbols are all simple yet quite effective and engaging. The free spin round is quite exciting since it’s not uncommon and can deliver up to 30 free chances at those progressive pots and other prizes. The jackpot wheel won’t pay out the progressive pots often, but it also isn’t stingy and awards players with oodles of coins and free spins. All in all, this is a complete slot game that we highly recommend and expect will find a place in your regular rotation.